Seeds are planted in Spring ... but some don't fully bloom until early Summer! Sunflowers are great to plant and have children watch them grow, taller and TALLER over a period of time. They can even measure the flower growth with their own bodies (up to their ankles, knees, stomach, head)! After sunflowers have started to grow, children can enjoy some books and activities to go along with what they are learning about sunflowers. 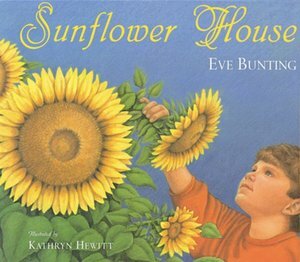 The first book is called "Sunflower House" by "Eve Bunting. In this story, a boy plants a bunch of sunflower seeds in a circle. The sunflowers grow and grow, and form a "sunflower house", that he and his friends play in (doesn't that sound like fun?!). The story also features the life cycle of plants, as the sunflowers wither and seeds are left on the ground to grow again next season. Another lovely story is "The Sunflower Parable" by Liz Curtis Higgs. This story focuses more on the hard work and patience of gardening; but also has a message much deeper than just about planting sunflowers. After viewing some real sunflowers, children can try to replicate them with paper plates. First, prepare paper plates for the craft by cutting off the outer edge of each plate (trimming about 2 inches). For younger preschoolers, you can pre-cut yellow petal shapes - older preschoolers can practice their cutting by making their own petals. Have children use a glue stick to glue around the outer edge of their paper plate circle - and then stick on their yellow petals. Next, have children put white glue on the inside of the circle and have them spread it around. Give them "seed-like" items to sprinkle on the inside the sunflower (i.e. oatmeal, dried corn cob, bird seed, sunflower seeds). Another option is to have children use brown paint to paint the middle of the sunflower and then spread the "seeds" on top of the paint. 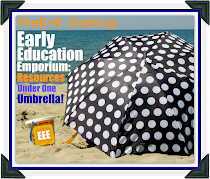 Laura Eldredge is a teacher and curriculum coordinator at a NAEYC accredited early childhood program in Connecticut. 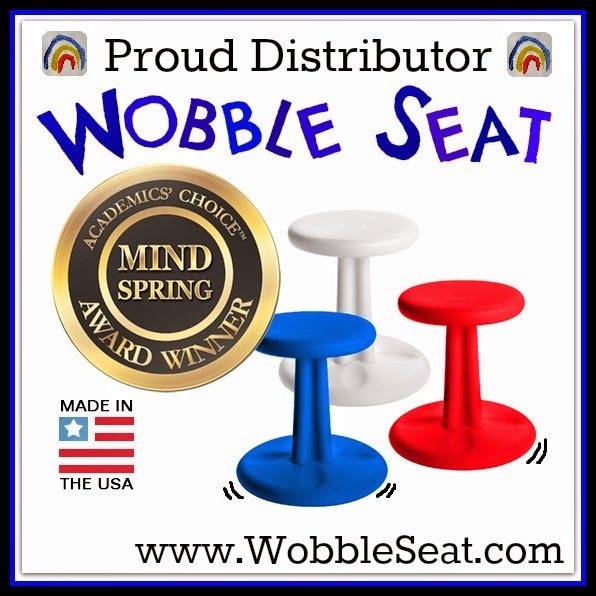 She also co-founded the website The SEEDS Network, as a way to provide early childhood professionals with ideas and resources that support them in their quest to provide quality care and education to our youngest learners. 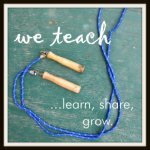 She blogs at www.theseedsblog.com.